WOW, I must admit I thought there would be some low scoring at Spyglass for the 45 annual Four-Ball Championship, but I didn’t see someone shooting a 10 under RECORD 62. At least I think the 62 is a record low over the past 45 years where thousands of rounds have been played in this event. To shoot 62 both partners need to firing on all cylinders, and these guys had it going. 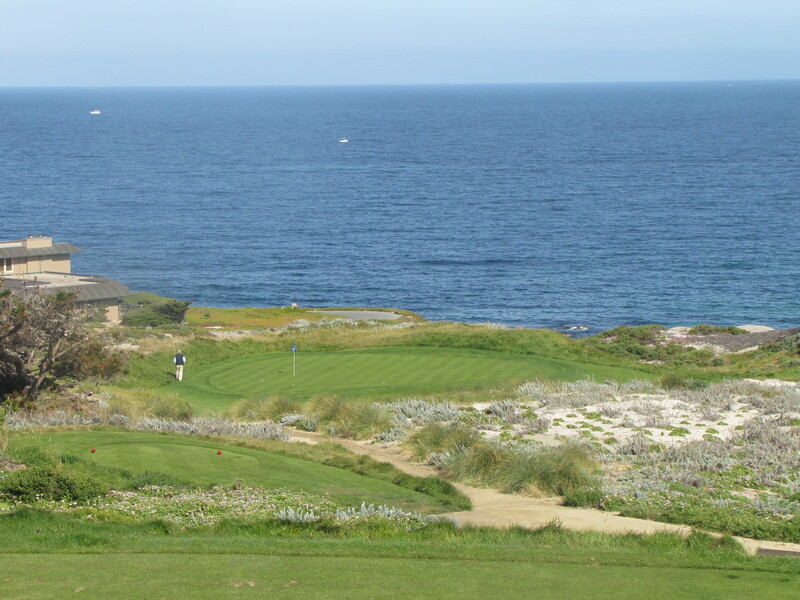 They started on the back nine in the afternoon wave, and promptly made a bogey on their opening hole, ever underrated #10 at Spyglass. They quickly righted their direction as Scott Roak made eagle three on the 11th hole to get them launched. The eagle was followed with birdies on 14, 15, and 18 for a -4 nine. Then the assault began with birdies on 1,2,3,4,6,9 for a 6 under 30, and was without a birdie on the easiest hole on the front, the par 5 number 7. From their card it looks like RC Orr shot 67 on his own ball and Scott Roak had a 69 on the day. Quite impressive to say the least!! The good news for the Donovan/Haag team is we shot a solid 67, and stand 5 shots back with 36 holes to go (that’s the good news 36 holes to go). 7 teams in total shot 67 on a day with very light winds, and Spyglass in PHENOMENAL SHAPE!! 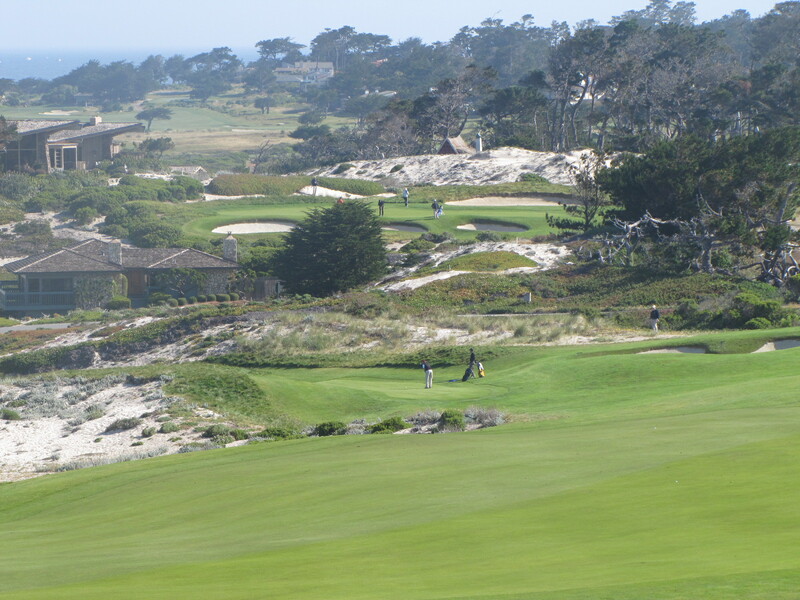 The members of the NCGA really don’t know how good we have it with all the tournament dates at Spyglass Hill GC. I rate this course in my global top 10 for many reasons, one is the condition you always find this course in. The second is the spectacular visuals you have on nearly every hole, especially the starting 5 holes before heading back into the forest. 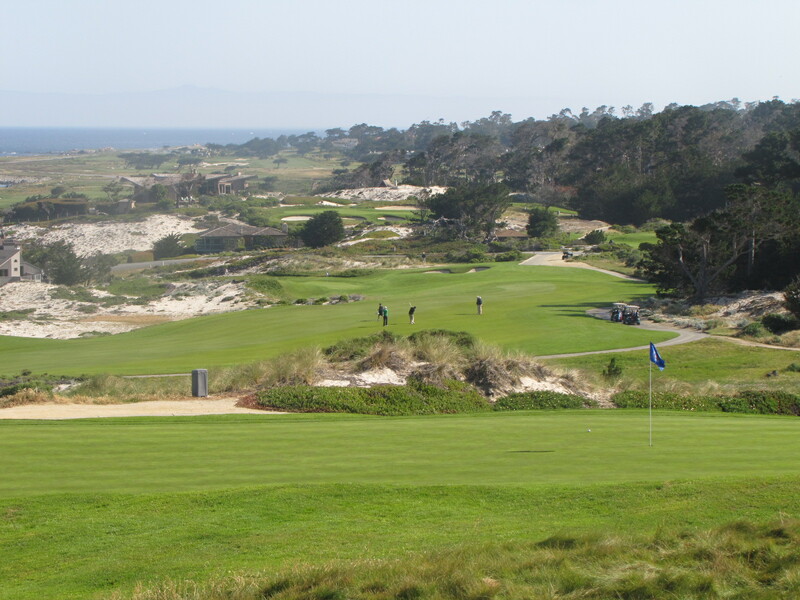 Stay tuned for more news and results as I bring them to you from the Beautiful Pebble Beach!